Would I recommend this to dessert wine aficionados: yep! Visual: Real cork. Pours blood red, ultra clear and thicker viscosity. 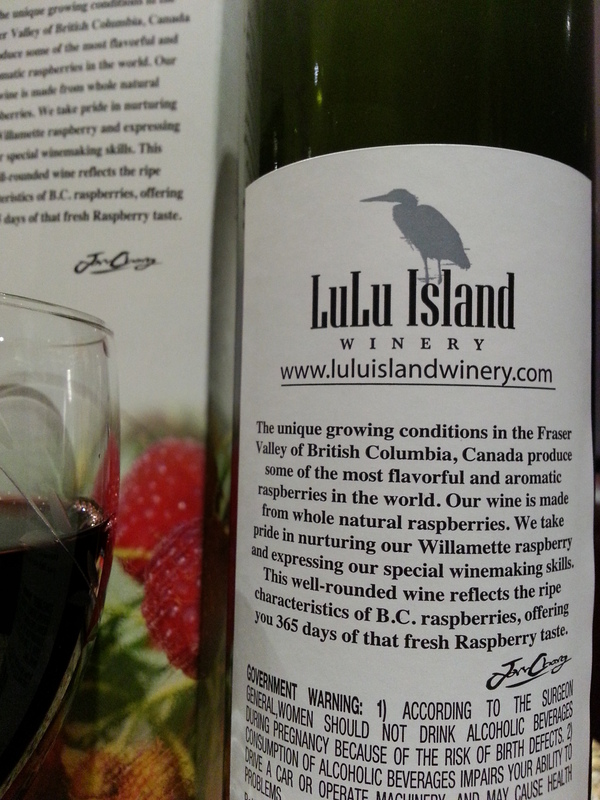 Finish: fruity tart, red/black currant/raspberry depth, soft alcoholic throat warmth, lingering tangy acidity. 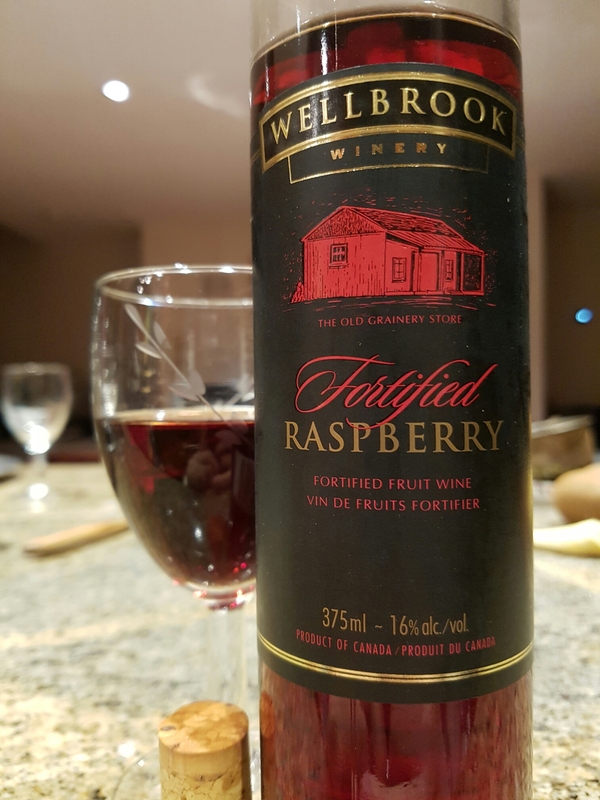 Summary: Consistent with their Blackberry [B] and Cranberry [B-] fortified wines, this raspberry is also full of authentic berry depth and a structured alcoholic body. It gets somewhat more aggressive at is warms, but is still very engaging. 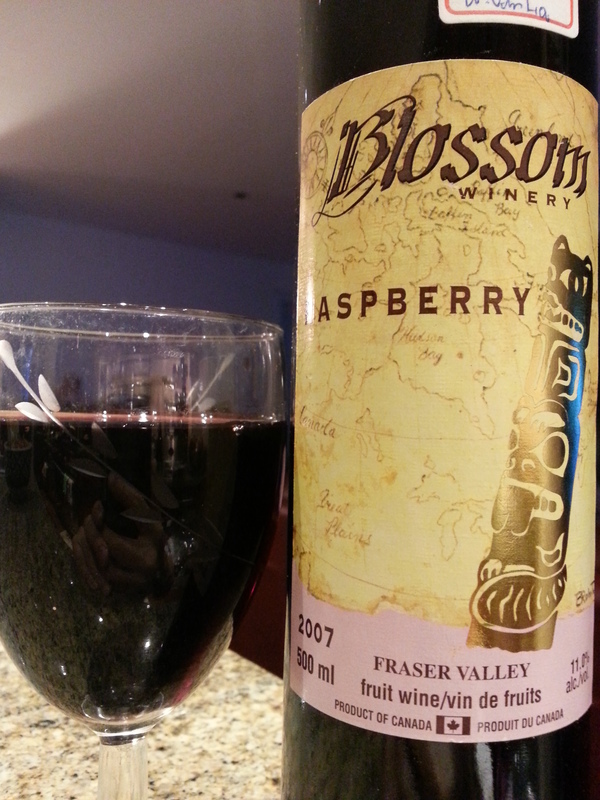 This is the same winery/wine as Blossom Winery’s Raspberry Wine which I reviewed a couple of months ago. Visual: Certainly bottled nicer than their neighboring Isabella Winery, from the cork to the label. Pours deep dark magenta, oilier than water. 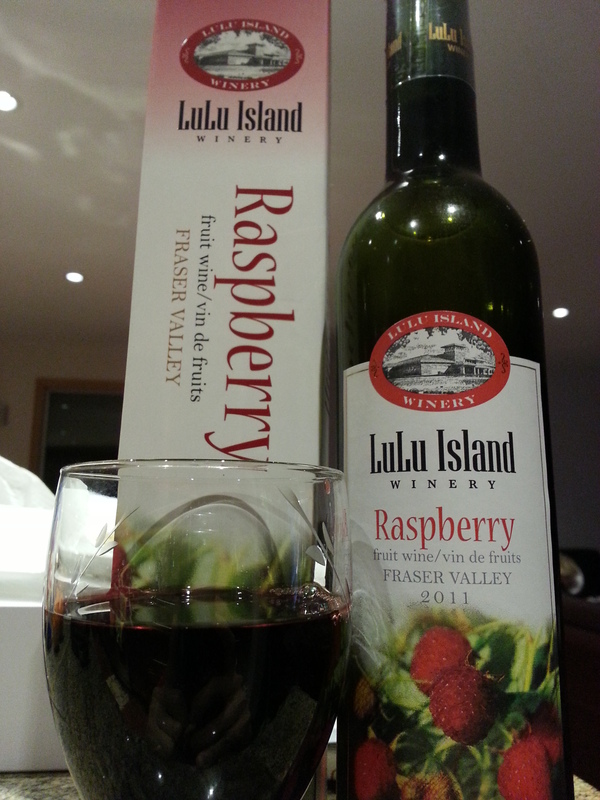 Summary: Superb clean raspberry flavour at an excellent price point. Very bright and “palate-heavy”, thus should be enjoyed with a meal. Tasting notes (chilled): pours a deep, dark and luscious burgundy, thicker than water viscosity. Fragrant raspberries and a touch for strawberries on the nose. Drinks with 9/10-level sweetness but is nicely offset with the high ABV (for a dessert wine) warmth. 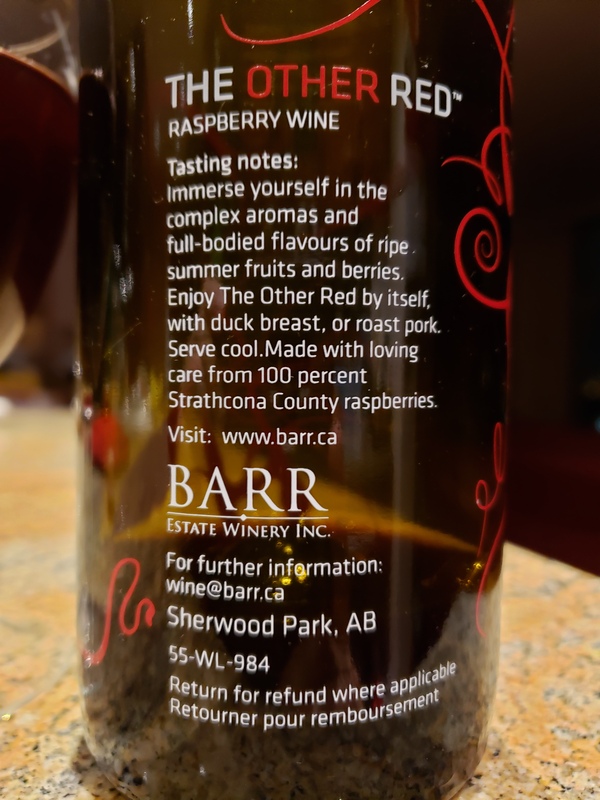 Smooth, fresh raspberries without the sharp and prickly roughness on the tongue, slight cane sugar maltiness, a bit of a soft alcohol nasal burn from the eau-de-vie, Ciroc grapiness, minor notes of purple grape and strawberries. Overall very nice balance of sweetness and alcohol, complexity and drinkability. Somewhat aggressive alcohol and the highest ABV of a dessert wine I’ve seen to date. Definitely a shared sipper.